While the amount of opioids prescribed in the U.S. has declined since its peak in 2010, dispensing rates remain high with three times more opioids prescribed today than in 1999. In fact, a recent study by the National Safety Council found that 99% of doctors were prescribing highly addictive opioids well over the Centers for Disease Control and Prevention (CDC) recommended timeframe, with the majority being for more than seven days. Over-prescribing of opioids and other drug classes can lead to excess prescription medications sitting in medicine cabinets, lending itself to potential diversion, misuse or abuse, and providing a grave danger for children. One study reported that more than 70,000 children in the U.S. visit the emergency room each year due to accidental medication exposure and poisonings. 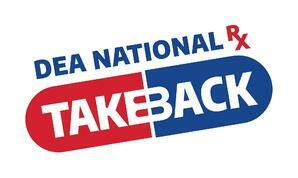 The U.S. Drug Enforcement Administration (DEA) developed National Prescription Drug Take Back Day to help with this issue. The purpose of the initiative is to provide a safe, convenient and responsible means for disposing of prescription medications that are unwanted, unused or expired, while also educating the public on the potential danger of these medications. On April 28, thousands of communities throughout the country will participate in the 15th National Prescription Drug Take Back Day with drug collection sites available from 10 a.m. to 2 p.m. Past events have collected more than 9 million pounds, or over 4,500 tons of prescription medications, with the last event collecting a record-breaking 456 tons of potentially dangerous drugs. EnvisionRx works every day to provide safe and effective medications for our members. As the opioid overdose epidemic in our country continues to grow, it is imperative that we all work together to find ways to prevent drug abuse, overdose and accidental poisonings. That is why EnvisionRx proudly supports National Prescription Drug Take Back Day and other proactive community initiatives that help ensure a safe environment for our members and their families. To find a site near you or learn more about the disposal of prescription drugs, visit the DEA Diversion website. Centers for Disease Control and Prevention. Vital Signs. July 2014. Ahrnsbrak R, Bose J, Hedden SL, et al (2017). Key Substance Use and Mental Health Indicators in the United States. SAMHSA. Han B, Compton WM, Blanco C, et al (2017). Prescription Opioid Use, Misuse, and Use Disorders in U.S. Adults: 2015 National Survey on Drug Use and Health. Annals of Internal Medicine. Teater D (2016). Prescriber attitudes and behavior related to prescription opioid pain medication. National Safety Council.